Air Canada provided an insight into its future thinking following the simultaneous unveiling of its new corporate livery at ceremonies in Montreal, Toronto and Vancouver on February 9, 2017 as the carrier prepares to enter its 80th anniversary year. The brand refresh continues a recent evolution at the Canadian flag carrier that has helped better position in the global market serving both business and leisure demands through its mainline and Air Canada rouge operations. Air Canada provided an insight into its future thinking following the simultaneous unveiling of its new corporate livery at ceremonies in Montreal, Toronto and Vancouver on February 9, 2017 as the carrier prepares to celebrate its 80th anniversary (of the formation of Trans-Canada Air Lines) in April. The brand refresh continues a recent evolution at the Canadian flag carrier that has helped better position in the global market serving both business and leisure demands through its mainline and Air Canada rouge operations. "Our new livery signals another pivotal transition point in our 80-year history and celebrates a major branding project for a globally recognised Canadian company," said Calin Rovinescu, president and chief executive officer and Benjamin Smith, president, passenger airlines for Air Canada in literature to promote its new identity, which includes designs colours and styles from the airline's history. A closer look at its network activities over the past ten years using data from intelligence provider OAG, shows how the airline is growing its operations both at home and in international markets. Over the past ten years its domestic network has grown 12.1 per cent and last year’s 3.7 per cent annual rise will be followed by a more conservative 2.2 per cent forecasted capacity growth this year, based on published schedules. Air Canada is improving its competitiveness in regional markets through its partnerships with Sky Regional & Air Georgian, which deliver very competitive cost structures into the carrier's system. It plans to continue to add scale to these operations, while significant enhancements to its Jazz capacity purchase agreement, which has been extended to 2025, will be driven by fleet changes and a pilot mobility agreement. There’s a faster rate of growth in the international market where capacity has risen 44.3 per cent since 2006, including double-digit rises of 12.5 per cent in 2015 and 14.5 per cent in 2016. This will be continued this year with a forecasted 13.0 per cent rise in international capacity expected in 2017, according to the current OAG data. This expansion in foreign markets will see Air Canada's international activities exceed its domestic activities for the first time in 2017. This follows the formation of Air Canada Rouge which has enabled the flag carrier to better tailor its service to the markets it is serving and has also supported a significant network expansion either directly through the leisure business or by freeing up new aircraft deliveries to open new routes. The Rouge business is enhancing margins in existing leisure markets and allow Air Canada to pursue new opportunities in international leisure markets made viable by its competitive cost structure - its fleet is estimated to generate 25 per cent lower CASM when compared to the same aircraft operation in the mainline fleet. In the past couple of years this has seen the introduction of non-stop flights to Amsterdam, Delhi, Dubai and resumption of Austin and Osaka flights in 2015; plus Brisbane, Budapest, Casablanca, Glasgow, Jacksonville, London Gatwick, Lyon, Prague, Salt Lake City, San Jose, Warsaw and the return of Port Of Spain and Washington Dulles flights in 2016. This year Air Canada will introduce new links to Algiers, Berlin Tegel, Marseille, Mumbai, Nagoya, San Antonio, Savannah, Taipei as well as resume fights to Memphis. In the past week it also outlined plans to launch daily summer seasonal service from Canada to Reykjavik, Iceland with flights operating four times and three times weekly from the carrier's Toronto and Montreal hubs respectively, subject to government approvals. The new non-stop services will be operated by Air Canada Rouge starting in mid-June 2017 through to early-October 2017 and will be flown with 136-seat A319 equipment offering a choice of premium and economy classes of service. "Iceland is an emerging and exciting vacation destination growing in popularity with its array of outdoor leisure and cultural adventures, and we're looking forward to flying to the Land of Fire and Ice this summer," said Benjamin Smith. The main focus of Air Canada's international network development this decade has been at its three main gateways - Toronto's Lester B Pearson International Airport, Montreal's Pierre Elliott Trudeau International Airport and Vancouver International Airport - although the largest growth (from a smaller base) has been recorded from St John's International in Newfoundland, with Winnipeg's James Armstrong Richardson International Airport also seeing capacity growth. Following the birth of Air Canada Rouge in December 2012 and since its launch in July 2013, the main focus of Air Canada's international network growth has been on the west coast with departure capacity almost doubling between 2013 and that planned for 2017, a compound average growth rate of 24.5 per cent. Over that period Air Canada, both through its mainline or Rouge division, has added 16 new international routes and grown its network to almost 40 destinations, a 76.2 per cent increase on 2013. 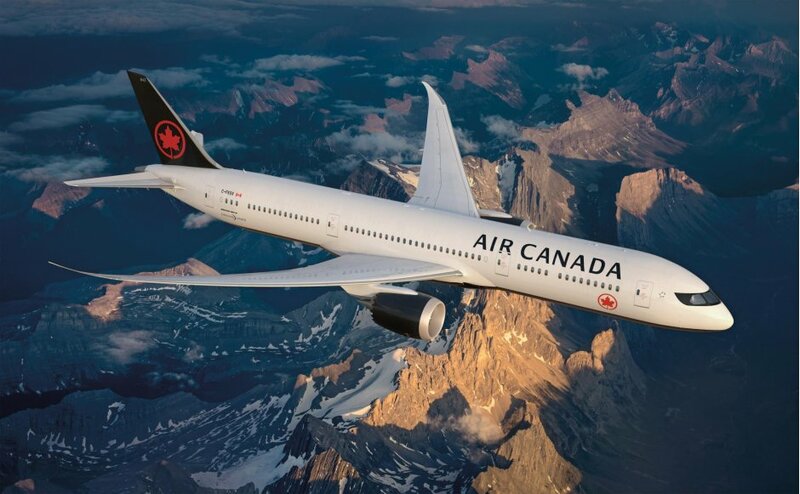 The success of Air Canada's revised strategy is already delivering improved financial performance and the carrier produced record EBITDAR financial results during each of the first three quarters of 2016 on which it has reported. "We had a highly satisfying year in 2016 on many fronts and at the start of this new year, in which we celebrate both Air Canada's 80th anniversary and Canada's 150th," said Calin Rovinescu. "We significantly increased our global footprint with the launch of 28 new routes including 15 new international and 12 U.S. trans-border routes. With new service to Morocco, we joined the elite club of global carriers serving all six continents," he added. The airline's expanded 2017 network will be facilitated by the arrival of nine additional Boeing 787 Dreamliners, growing the Air Canada fleet to 22 aircraft. This will also permit the transfer of five mainline Boeing 767-300ERs into the Air Canada Rouge fleet, increasing its operation of the type to 24 aircraft and total fleet to 49 jets. The end of this year will also mark the arrival of the first of Air Canada's 737MAX-8 aircraft and the start of its short-haul fleet rollover from Airbus to Boeing equipment. The airline is scheduled to receive two aircraft in 2017 from its order for up to 109 aircraft (33 737MAX-8s and 28 737MAX-9s plus 18 options and 30 purchase rights), which will deliver an estimated 10 per cent CASM reduction versus its current Airbus narrowbody fleet. It has also committed to receive 45 firm Bombardier CS300 aircraft from late 2019, including 25 to directly replace its current Embraer 190 fleet. Air Canada has positioned itself to adjust to any economic environment with fully unencumbered, older aircraft (both widebody and narrowbody), and with a sizeable amount of staggered leased aircraft expiries. Staggered Airbus narrowbody lease expiries also give Air Canada the opportunity to manage capacity, either up or down, as it transitions to the 737 MAX, while longer-term flexibility exists in its ability to defer a portion of 737 MAX deliveries should the market conditions change significantly. Air Canada's fleet of 300 mainline and regional aircraft are being repainted in a bold black and white design that highlights its iconic red maple leaf encircled ensign, or "rondelle," that returns to the tail of the flag carrier's fleet after an absence of 24 years. Air Canada says that with the new livery design, it "firmly reasserts itself as Canada’s flag carrier, proudly displaying the Air Canada Rondelle on a global stage, while making Canadians feel at home". It suggests that the new livery "balances national identity with a compelling design that clearly accentuates the features of each aircraft, allowing it to elegantly stand out in the sky and on the runway," with the overall design allowing the Rondelle to be "the hero" of the livery. "The red colour and the maple leaf symbolise our commitment to our country," it adds.